Ever wonder what a typical Tuesday looks like for a band poised to claim the UK indie rock throne? 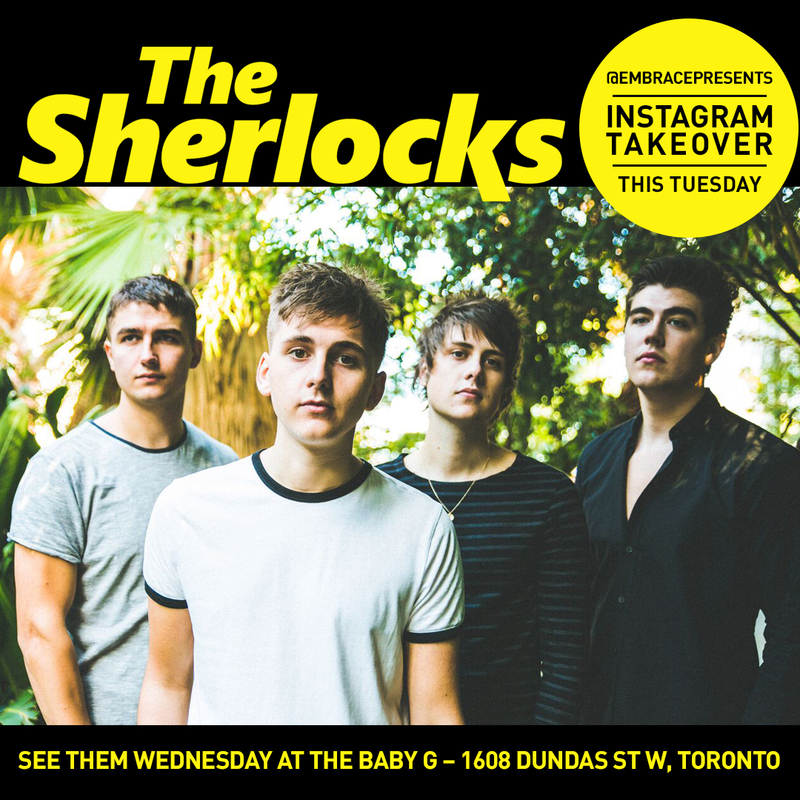 Well you’re in luck – we’re getting a glimpse behind the curtain with The Sherlocks. With comparisons to headliner favourites like Arctic Monkeys and The Pigeon Detectives, you’ll want to tune in this Tuesday (Halloween, no less!) when they takeover Embrace’s Instagram account.